There is a place where the house lights go down when nature dictates, and where hundreds of volunteers come together each summer to present community theatre with a distinctive air of professionalism. 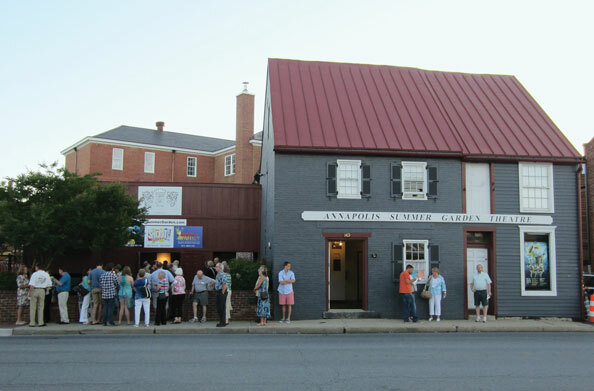 Since its first production, in 1966, Annapolis Summer Garden Theatre has been consistently providing live stage experiences and hands-on production opportunities not only to those with theatre backgrounds, but also to anyone interested in learning the craft. 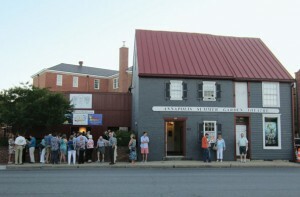 The earliest supporters and founders of the theatre were Joan Baldwin, Tony Maggio, Al Tyler, and Ed Hartman. Building an outdoor stage with no enclosures, they sought to supplement the area’s community theatre opportunities and attract students who were home on college break as well as any actors who didn’t want to take the summer break that local theatres took. They launched two shows—Brigadoon and You Can’t Take it With You—at Carvel Hall Hotel. The response to the shows and the new outdoor show space was so overwhelming that the group quickly looked for a permanent location for its productions. It identified the vacant Shaw Blacksmith Shop on Compromise Street, renting and then later leasing the building from the local Board of Education and Anne Arundel County. The group put in hours of elbow grease and sweat equity over the years to create the perfect permanent location. Fifty years later renovations are still ongoing, as the historic structure requires a lot of tender loving care to maintain building standards. Most recently, the group put over $200,000 into outdoor renovations. The theatre hopes to raise close to $1.5 million to support additional projects such as adding heating and air conditioning indoors, where the box office, dressing rooms, restrooms, and storage and meeting rooms are located. “There’s something really special about the history, the people, and the evolution of the organization,” shared Melody Volkman, the current volunteer coordinator. She orchestrates the involvement of willing and excited volunteers in various tasks, from tearing tickets at the door to managing props backstage during a show. 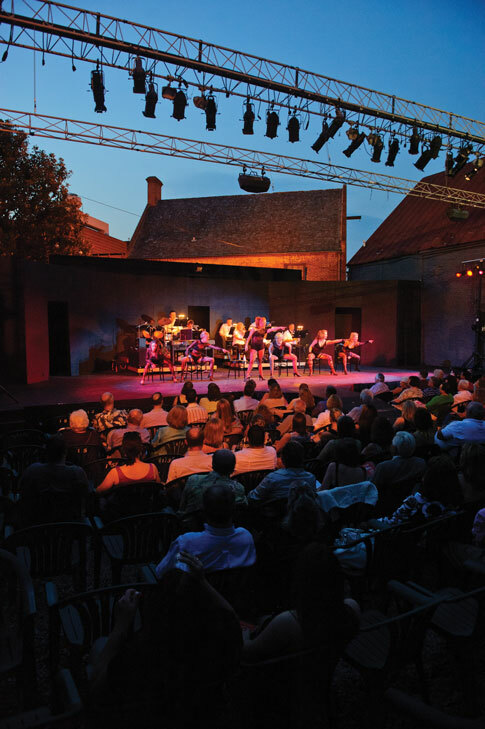 Volkman and the rest of the board of directors are excited about this year’s events as Annapolis Summer Garden Theatre celebrates its fiftieth anniversary. First on the agenda is a gala event at the William Paca House on May 7 that will include a concert version of Brigadoon. 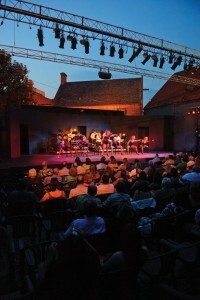 The first of three musicals chosen for the summer takes to the stage on Memorial Day weekend. The Wedding Singer, based on the popular comedy film that stars Adam Sandler, will run through June 15. The compassionate Rent, which turns 20 this year, follows, running through July 23. And Mel Brooks’ The Producers plays through September 4, rounding out the theatre’s biggest, most ambitious season. 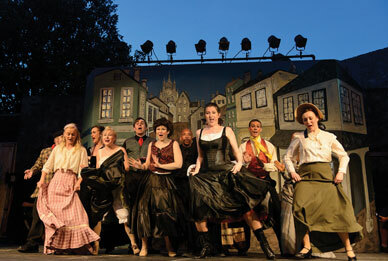 As an added bonus, 50 Years Under the Stars, A Musical Retrospective will run during the second and third weekends of September, just after The Producers closes. Thanks to the launch of convenient online purchasing, more season tickets than ever have already been sold for the 2016 season. And once the theatre’s new website is launched—another capstone of its fiftieth year celebration—patrons will be able to navigate schedules, ticket sales, and volunteer opportunities with the tap of a finger or the click of a mouse. Error: Error validating access token: Session has expired on Saturday, 09-Mar-19 15:57:50 PST. The current time is Tuesday, 23-Apr-19 09:48:13 PDT.